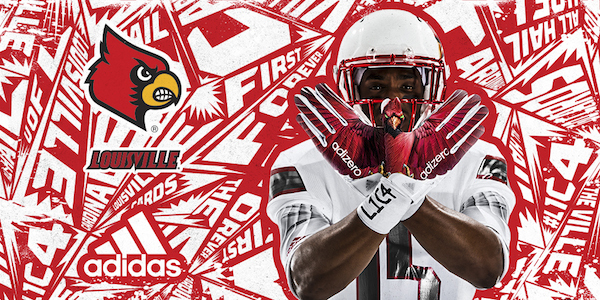 Louisville and adidas unveiled new uniforms for the Cardinals on Thursday, showcasing an alternate take on the team’s logos. 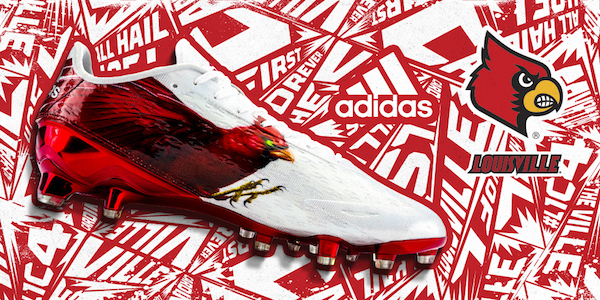 Louisville will wear the Uncaged Cardinal Primeknit uniforms for the Sept. 5 season opener against Auburn in Atlanta. 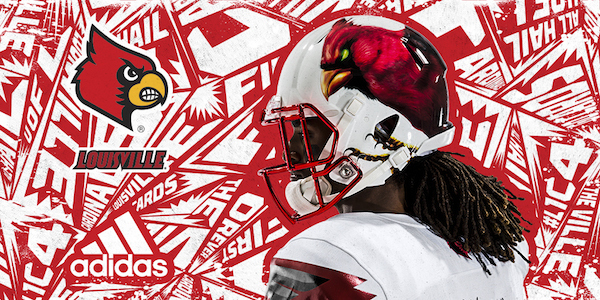 The white helmets feature a different Cardinals logo with a larger, more three-dimensional, “all-new, photo-real, high-def Uncaged Cardinal” on the left side of the helmet. On the right side is a chrome and red English “L.” A similar “L” is found on the left leg, matching the helmet. On the jerseys, the shoulders feature chrome and red wings. The lettering and numbering are chrome and outlined in bold red. Made with a cutting-edge, proprietary yarn blend that increases durability and abrasion resistance, Primeknit is the newest generation of the adidas TECHFIT football uniform system. Primeknit keeps players cool and increases range of motion, giving athletes an unrivaled level of comfort and allowing them to perform at their highest levels. The jersey's redesigned padlock system improves tension over the shoulder pads. The jersey's redesigned padlock system improves tension over the shoulder pads, while the compression fit adheres to the player, making it difficult for opponents to grab, hold or tackle. 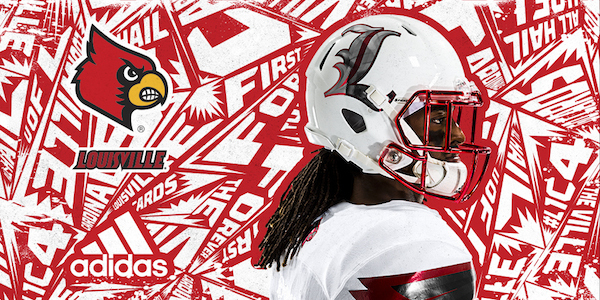 Louisville finished 9–4 last season after falling to Georgia in the Belk Bowl.